Malbec is well known for being one of the six grape varieties used in the production of Bordeaux wine. 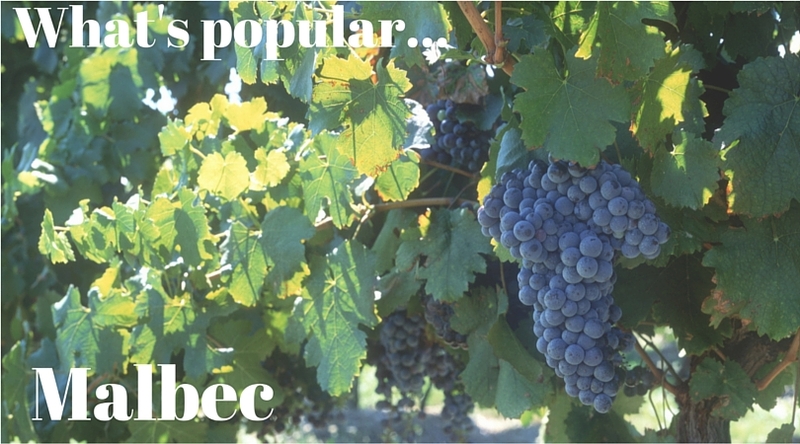 Malbec has different names and spellings in different places; Auxerrois or Cot Noir in Cahors, Malbec in Bordeaux, Malbeck in Argentina and Pressac in other locations. Malbec usually ripens half way through the season and is senstive to the surrounding growing environment. The level of ripeness can have a significant impact on the quality of the wine. The small, intensely coloured grapes are generally tannic, rustic and slightly meaty when produced in France, but appear to be rich, ripe, juicy and slightly jammy when produced in Argentina. In order to develop the wines structure, the wine is usually aged in oak barrels. Ultra fruity on the palate with hints of sweet liquorice, jammy fruits & ripe cherries. A full, rich, smooth and gutsy Malbec. Good concentration of cherry and plum fruit with the added complexity of some barrel ageing. Deep rich cherry and chocolate notes. Great balance and structure with lots of fruit. Big, bold & fruity with wonderful deep cherry flavours, soft & smooth with a lovely rich fruity finish. Superbly deep & structured with long rich flavours; big & full with a firm but integrated finish. A rich, spicy, juicy, smooth, full bodied red wine with cherry, plum and sweet spice notes.